Mumbai, October 19: Mumbai City FC registered their first win of the Hero Indian Super League (ISL) and it came at the expense of their Maharashtra rivals, FC Pune City, at the Mumbai Football Arena on Friday. A maiden goal in Mumbai colours for Modou Sougou (25’) and a spot-kick from Rafael Bastos (45’) sealed the Islanders’ 2-0 win, their first at home in four attempts in the Maharashtra Derby. 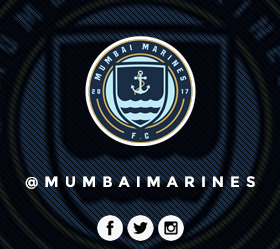 After a fairly uneventful start, Mumbai drew first blood through Sougou. The Senegalese forward made no error with an emphatic finish from close range after Paulo Machado’s cross had rebounded off the crossbar. At the other end, Emiliano Alfaro was starting to look threatening for Pune and the Uruguayan vociferously appealed for a penalty after going down under Subhashish Bose’s challenge, to no avail. However, a spot-kick would be awarded at the other end eventually in the dying minutes of the first session. A scrappy phase of play found Mumbai’s attackers with a numerical advantage over Pune’s defenders. Bastos attempted to set Sougou through on goal but the Senegalese was brought down by a challenge from behind from Chhuantea Fanai. The referee had no hesitation in blowing his whistle for a penalty. Bastos stepped up for the penalty and made no mistake from the spot, sending Vishal Kaith the wrong way. Miguel Angel Portugal threw on Marcelinho as he sought to get his side back into the game and the Brazilian almost made an instant impact with a snapshot from the edge of the area where Amrinder Singh was alert enough. Alfaro almost reduced the deficit in the 65th minute with a sharp turn and shot in the 65th minute following a cross from Golui. But his effort agonisingly scraped the crossbar before going out of play. Jorge Costa shored up the hosts’ defence as they looked to protect their two-goal lead with Pune’s attackers being thwarted repeatedly despite coming forward in numbers. There would be another spot-kick awarded in added time, once again to the hosts. A quick breakaway saw Arnold Sissoko skip past the Pune defence before he was hacked down in the box by Gurtej Singh. Lucian Goian stepped up to take the penalty but his effort was saved well by Kaith who guessed the right way. Can Lajong’s Mojo Last as Heavyweights Quess East Bengal Come Calling?